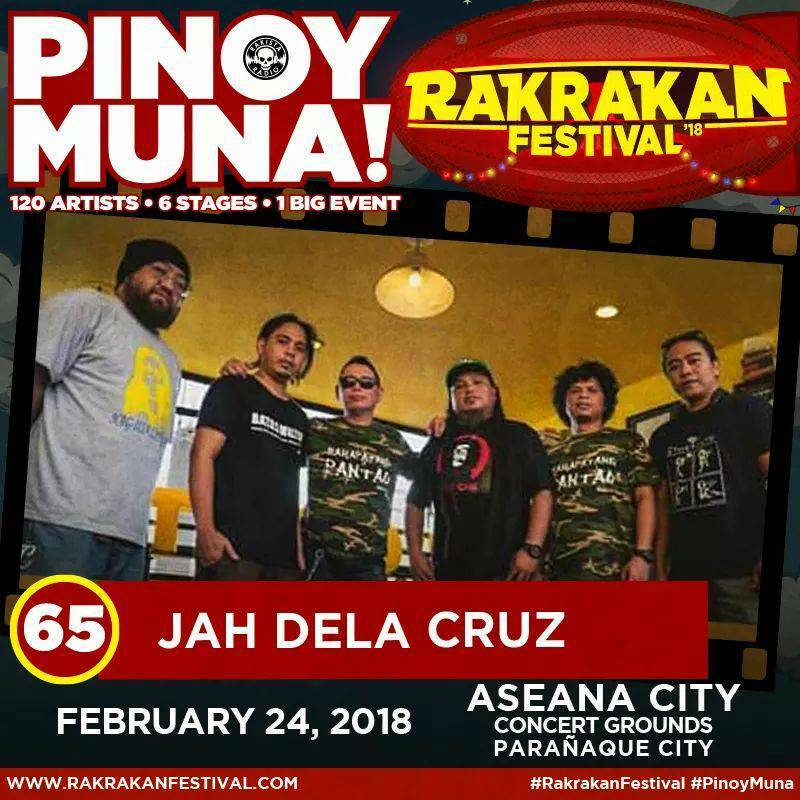 Rakista Radio is now friends with Jah Dela Cruz Band. at ASEANA CITY CONCERT GROUNDS, PARAÑAQUE CITY! REGULAR EARLY-BIRD and VIP PRE-SALE* are NOW AVAILABLE at all SM Tickets Outlets NATIONWIDE! Limited tickets ONLY! BUY NOW before pre-sale tickets run out! VIP tickets also come with tons of freebies + Meet & Greet! Jah Dela Cruz Band is now friends with We Got Herb. Gate will open at 6pm, Program will start at 7pm! *Infront of Makati Ave. night market. You can avail the ticket at the gate (from 6pm to 7:00pm only) for only 150php w/ 1 free beer & 1 raffle stub (prizes sponsored by some of our merchandisers). plus stickers! (until supplies last). If you can’t be there early, you can still avail our 150php pre-sell ticket! pm us on our official face book page https://www.facebook.com/JAM88.3GROOVESESSION/  to know how! (Take note: pre-sell ticket online is until February 9 Friday 5pm only). Jah Dela Cruz Band Hey! Check this out! Before we reach the Summer of 2018 for the biggest Reggae Event in the Metro. 1st we will Celebrate Mr. Robert Nesta Marley's Birthday! See you all this coming February 3 (Saturday) 2018 for... moreHey! Check this out! 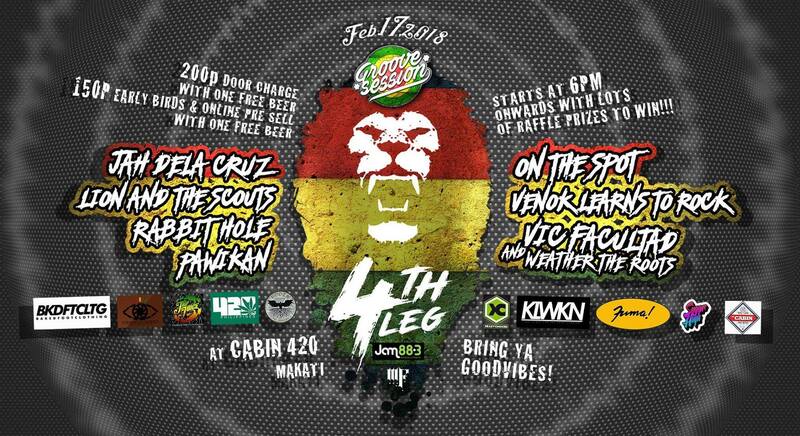 Special Thanks to: Ms. Anna, Ziera of Bside and Nic Rasta for the wicked poster! Mark Raffy Bahalla and 2 others like this. Jah Dela Cruz Band is now friends with Ma-ia *. Jah Dela Cruz Band Our first single "Tama Mali" Live Performance Music Video. Please click the Subscribe & Like this video. Thank You! "Tama Mali" live performance music video! *Mastering... more"Tama Mali" live performance music video! RiDz Solomon is now friends with Jah Dela Cruz Band. Jah Dela Cruz Band likes this. Jah Dela Cruz Band has just signed up. Say hello! Jah means Lord, God or Yahwe in Jamaica and Dela Cruz is a common family name of a filipino because the band is a pinoy reggae. Jah dela cruz band is originally the planned project band of Luis "Weslu" Guiang of Pu3ska and Isko Cordero of FMD, but they did not establish the band until Weslu died in an accident. After how many years... Isko Cordero (Vocalist) decided to continue the band (Jah Dela Cruz) and invited his FMD bandmates Carlo Hautea (bassist) ,Jaymark Dionisio (Lead Guitarist) and Brian Vertucio (Rhythm Guitarist/Vocalist). 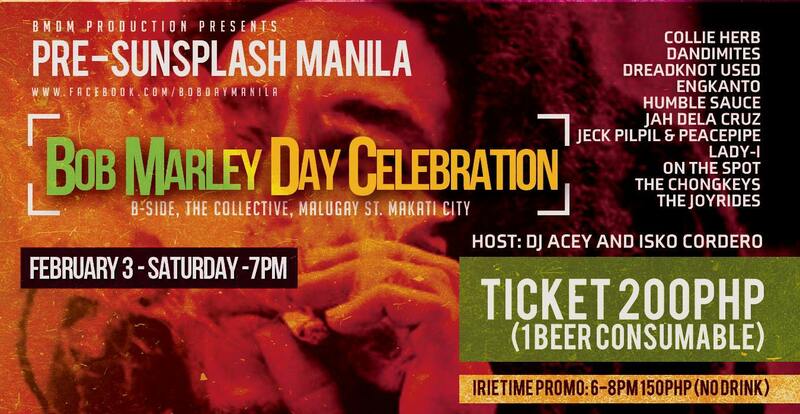 Isko also invited Ruel Maderazo of Jeepney joyride to be their drummer, Cris Jacinto on percussion and they made their first big stage gig at bobmarleyday 2014 and the rest is history. Early of 2015, Clint Gambino of Mobster Manila change Ruel as a drummer (due to his busy schedule) and make JDC more inspired to play and do their music. Jah Dela Cruz is a reggae band plays music with style touch of traditional pinoy rock,punk, dance hall, ska & dub...Jah Dela Cruz songs of love, life and political content lyrically conciousness to hear. We are currently active in bar gigs in Metro Manila. We also played in big events like Fete de la Musique, Bob Marley Festival, Rakrakan Festival and countless events in and out Metro Manila.